The Korean receptionist at the hotel in Atlanta was so nonplussed by my first question that she refused to take her eyes off me. For a moment, I wondered if my query contained blasphemous slang. I replayed it hesitantly. Equally baffled by the second question, the girl disappeared into the backroom and brought with her a diminutive lady who looked like the nanny from Gone with the Wind. More stupefied than disappointed, I settled back into a couch in the lobby. The hotel driver gauged my mood and offered help. Having said that in one breath, he flipped his coat lapel to show me a hidden treasure: two portrait buttons pinned to the fabric had the smiling faces of King and Gandhi. I followed his route map and got off at King Memorial. There was a small bus stand below the elevated train platform that overlooks the historic Oakland Cemetery. It wore a deserted look, except for a bus and a couple waiting for another bus. Dr King was alien to them. Maybe the driver in the bus could shed some light. The walk through an empty Jackson Street was spooky, with guys driving pick-ups slowing down to taunt me. There was no Ebenezer Baptist Church in sight. My throat was dry as I entered the Exxon station at the Edgewood Avenue crossroad. A cashier stood behind the counter fortified like a garrison. Paying for a drink through a pigeon hole, I asked about the Ebenezer church. There I was, finally, at the Ebenezer Baptist Church, spiritual home to Dr Martin Luther King Jr and many members of the ‘Sweet Auburn’ community. My heart pounded as I stood outside the restored building, ignoring a couple of boys taunting me from the lawns of the National Historical Park opposite the church. As I stepped inside, my fear dissipated. “My party never mentioned you. You were not a topic in Marxism classes. We had Fidel and Che,” I said, as I slid into the pew and sat in contemplation. We ran past the National Historical Park, the King Centre, the eternal flame and the grave site. We darted past the Historic Fire Station, and leaped over the shrubbery around 501 Auburn Avenue. He dragged me into the next room, pausing to close his eyes and sniff the air. “Can you smell the sausages frying and the coffee? This was my favourite place. While grandma Jennie did much of the cooking, I did much of the sampling. She was so special to me,” he reminisced. On the second floor, we hopped from the guest room to his parents’ bedroom where he and his two siblings were born; the boys’ bedroom was shared by Dr King and his brother. Their sister Christine’s room was originally their mother’s when she was a child. “My room was always a mess, with clothes, shoes and toys scattered around. There were lots of books, too, as I loved to read,” he said. “Hey, what are you doing?” I shouted as he slid down the banister. “This is how I hurried downstairs for breakfast. 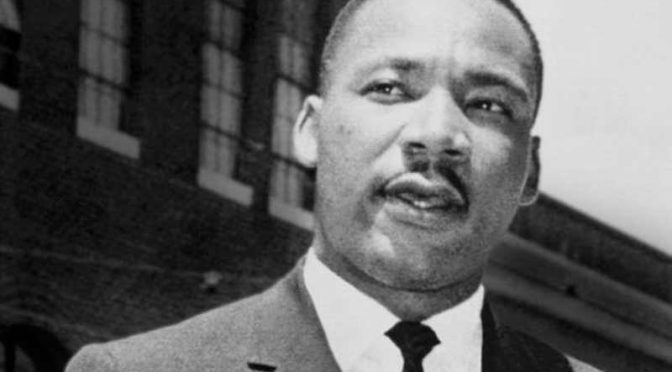 I would fall into the stairwell while spying on guests in the parlour,” Dr King reminisced. He was like a child. His eyes were moist. As if he was yearning to live once more. As if he wanted to lend a voice to the destitute once more. As if he wanted to be thrown back into jail once more. As if once more, from the steps of the Lincoln Memorial, he wanted to deliver the ‘I have a dream’ speech. His sepulchral voice echoed in Sweet Auburn and beyond.